Canadian Prime Minister Justin Trudeau stresses the government’s support for Israel at Walk for Israel in Toronto. Despite the hot weather, tens of thousands of supporters of Israel participated in the UJA Federation of Greater Toronto’s 46th annual Walk for Israel, which took place on Sunday. Before the walk began, a letter sent by Canadian Prime Minister Justin Trudeau to the participants and expressing the government’s support for Israel was read. “For the 46th year, this event is a wonderful way to show your solidarity with the State of Israel and its people. As you lace up your walking shoes and take to the streets, you can get satisfaction knowing that the proceeds you raised today will benefit UJA-funded programs and services in Sderot, Bat Yam and Eilat,” wrote Trudeau. “I would like to commend the organizers of today’s event, as well as the community sponsors, volunteers and of course the many walkers. Canada has been a friend of Israel for almost seven decades – through triumph and tragedy. We will continue to stand with Israel, one of our closest friends and partners, thanks to our shared values and the presence of a dynamic and thriving Jewish Canadian community,” he stressed. “Please accept my best wishes for a memorable event and for every success in meeting your fundraising goal”. The UJA raised more than $480,000 which goes to the financing of projects in social welfare, health, employment and culture in Israel. 100% of the funds raised will go directly towards agencies in Israel that are partnered with the UJA, including programs that support Israel’s Ethiopian community, hospitals, universities, job creation and youth employment in Bat Yam, Eilat and Sderot. 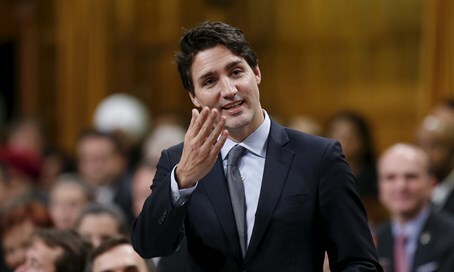 Since taking office last November, Trudeau has faced some criticism over his government's Middle East policies, but he has repeatedly expressed support for Israel. Earlier this month, in honor of Israeli Independence Day, Trudeau sent his congratulations and said Canada is "proud" to call Israel "a close partner and a firm ally." "Canada will continue to stand to the right of Israel and continue to advance peace and stability in the region," emphasized Trudeau. His government has also backed Israel at the UN, the last time coming last week when Canada was one of just a few countries to vote against the World Health Organization’s (WHO) resolution singling out only Israel for “mental, physical and environmental health” rights abuse.